Looking for a trip to rest your body and soul? Look no further and head on to Korea! It’s no longer a secret that Korea is one of the best, if not the number one, place to go for anything related to beauty. A healing trip to Seoul and its surroundings will definitely give you the royal beauty treatment you need. And who better to make such a trip with than with your BFFS? All ready to loosen up those tense muscles? Here are 10 spa spots in Seoul and its surroundings perfect for that very purpose. Located in the newest shopping theme park of Korea, Starfield Hanam, Aquafield is a modern spa house complete with waterpark facilities (charged separately). Some unique spa rooms that you should try there is the cloud room and the media room. Unlike the traditional jjimjilbangs, Aquafield is only open during certain hours of the day. How to get to Aquafield Hanam: Take Seoul Subway Line 2 or 8 to Jamsil Station and exit at Exit 7. Proceed to take bus no 9302 for 15 stops to Starfield Hanam Car Park bus stop (45 minutes travel time). You can also take Seoul Subway Line 2 to Gangnam Station and exit at Exit 1 followed by a bus no 9303 for 29 stops to the same bus stop at Starfield Hanam (one hour travel time). Alternatively, take a taxi from either stations and show the taxi driver the korean name and address: 경기도 하남시 미사대로 750, 스타필드 하남. Aquafield is at level 3 of Starfield Hanam Mall. 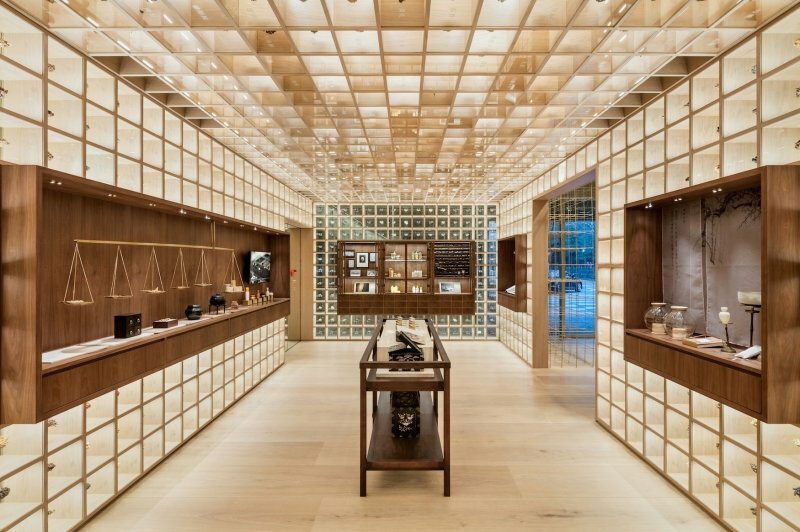 Sulwhasoo is one of Korea’s high end cosmetic brands Their flagship store, located in Gangnam, is a beauty space offering premium herbal medicine spas inspired by Asian traditions using special treatment tools such as Jade, Amber and many more. Whether you choose the Premium Korean Herbal Medicinal Anti-aging Spa or the Contemporary Korean Herbal Medicinal Balance Spa, you girls will be pampered with high quality treatment amidst a relaxing atmosphere. They also offer personalised cosmetics consultations, a free guided tour of their building as well as gift services. Opening Hours: 10am to 9pm daily, except on the second Monday of each month, Lunar New Year and Chuseok holiday. Reservation recommended. How to get to Sulwhasoo Flagship Store: Take Seoul Subway Bundang Line to Apgujeong Rodeo Station and exit at Exit 5. Walk straight and take a right turn before the major crossing. Continue walking until you see Horim Art Center on your right and turn right. The store will be on your right, near the entrance of Dosan Park. Alternatively, take a taxi and show the taxi driver the korean name and address: 서울특별시 강남구 도산대로 45길 18 설화수 플래그십 스토어. 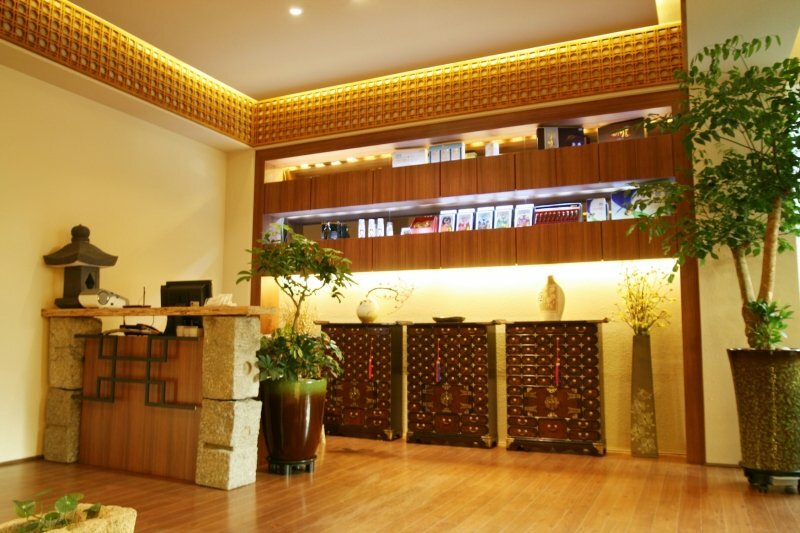 Cheongwanjang Spa G is a spa facility by Korea’s high quality red ginseng brand, Cheong Kwan Jang. Unsurprisingly, guests here are pampered with specialised spa programs using the best six-year-old ginseng roots handpicked by the management. 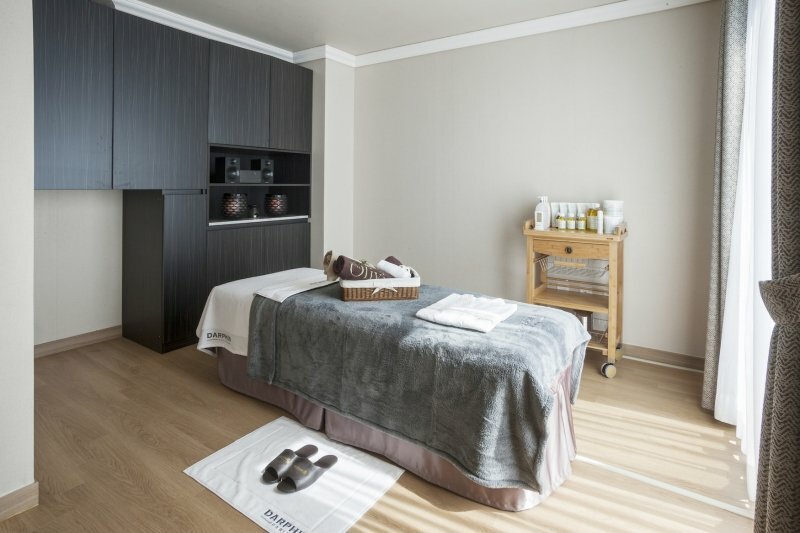 From their Head Spa Zone to their Foot Spa Zone, you will literally get head to to toe treatment here. They offer both intensive care programs for a single targeted zone and packages for a more holistic treatment, so take your pick! Opening Hours: 9am – 11pm daily, Reservation required. How to get to Cheongwanjang Spa G: Take Seoul Subway Line 2 to Samseong Station and exit at Exit 2. Walk straight to Kosmo Tower on your left, enter the building and head to B2. Alternatively, take a taxi and show the taxi driver the korean name and address: 서울특별시 강남구 영동대로 416. Yeo Yong Kuk Korean Spa is a Korean herbal medical center with therapies individually designed for specific health conditions based on 600 years of wisdom. The spa believes in a saying that taking care of a woman’s body is similar to taking care of the king’s land. So be rest assured that you and your girlfriends will be treated like royalty in this very spa! Speaking of being treated like royalty, why not opt for one of CheapTickets.sg™’s packages to Korea going from just S$550? These come inclusive of flights and three nights accommodation, so just sit back, relax and get ready to be pampered beyond belief! Opening Hours: By reservation only, call 02-412-0100. How to get to Yeo Yong Kuk Korean Spa: Take Seoul Subway Line 2 or 9 to Sports Complex Station and exit at Exit 9. Walk straight out of the park and cross the road, turn left at Baekjegobunro-9-gil and then immediately turn right to Baekjegobunro-7-gil. The spa will be on your left in Heungsong building, level 2. Alternatively, take a taxi and show the taxi driver the korean name and address: 서울특별시 송파구 석촌호수로12길 60 흥성빌딩. 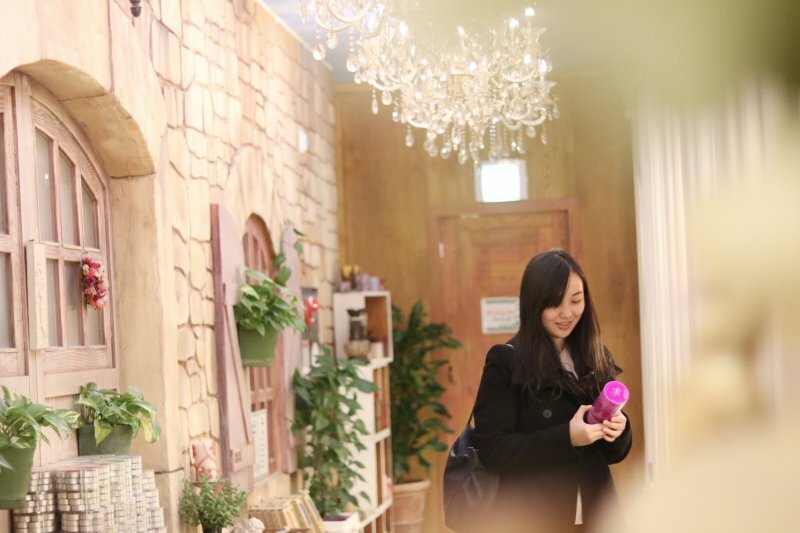 If you are in Korea for a shopping trip with your girlfriends and you need a break to rest your sore feet, consider visiting Herb Lab Bomdong. This healing space is home to a serene herbal foot bath zone, where you can soak and rest your feet. It was created by a group of young herbal medicine doctors who provide medicinal teas to relieve stress and fatigue. Fun fact: Herb Lab Bomdong was also featured in the one of the episodes of Korea’s reality show “We Got Married”! How to get to Herb Lab Bomdong: Take Seoul Subway Line 2, AREX Line or Gyeongui-Jungang Line to Hongik University Station and exit at Exit 1. Walk straight and turn right at the first major cross road you see. Continue walking and turn right at the third turn and turn left at the first turn. Make one last turn to the right on the first turn and Herb Lab Bomdang will be on your left. Alternatively, take a taxi and show the taxi driver the korean name and address: 서울특별시 마포구 월드컵북로6길 12-13 약다방 봄동. Similar to Herb Lab Bomdang, Tea Therapy is a traditional herbal medicine cafe where you can enjoy a herbal tea and Korean herbal foot bath. 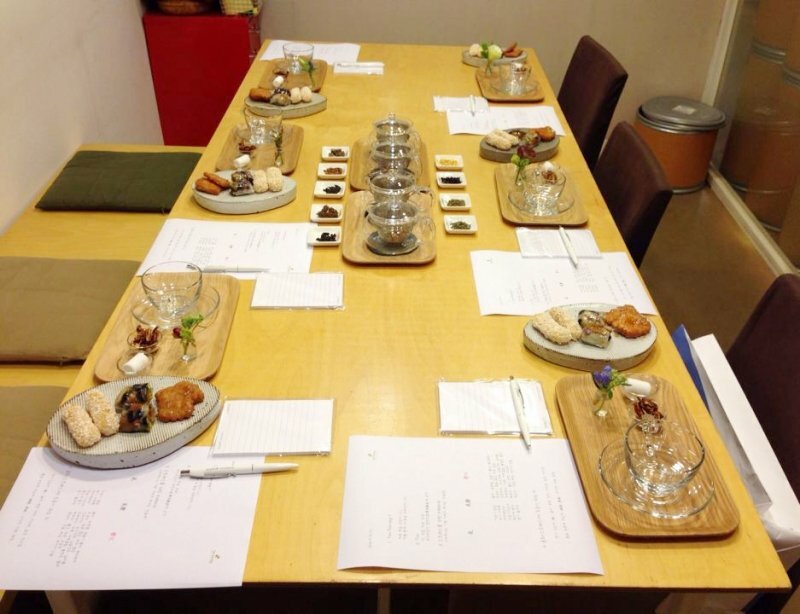 If you are interested to learn more about their herbal teas, you can also sign up for their Tea Class, how cool is that! They also serve lunch sets at a reasonable price of 8,000won (~S$10). Price: 5,000won (~S$7) for foot bath, 5,000won – 8,000won (~S$7 – S$10) for tea and lunch sets and 50,000won (~S$61) for the tea class. How to get to Tea Therapy: Take Seoul Subway Line 3 to Anguk Station and exit at Exit 1. Immediately turn right and continue walking straight for around 300 meters until you see a brick red building on your left. Turn right at the 3-way juncture and Tea Therapy will be on your right. Alternatively, take a taxi and show the taxi driver the korean name and address: 서울특별시 종로구 안국동 6-1, 티테라피. Olivine Spa will be perfect for those looking for a contemporary healing and wellness trip. Besides packages for chronic fatigue, Olivine Spa also provides special treatment for people suffering from weight problems and aging. This modern spa facility is also well known for their pre and postnatal care center, perfect for the any mother-to-be’s on their babymoon! Opening Hours: Monday and Friday 10am – 10pm, Tuesday to Thursday 10am to 8pm, weekends 10am – 5pm. Reservation can be done through phone, call 02-730-1719. How to get to Olivine Spa: Take Seoul Subway Line 3 to Dongnimmun Station and exit at Exit 1. Turn to the street on the right after the exit and Olivine Spa is B1 of The Golden Palace building. Alternatively, take a taxi and show the taxi driver the korean name and address: 서울 종로구 통일로 16길 4-1 (무악동 66-3). If you have some free time, why not venture out of Seoul to its neighbouring cities. Herb Island is a mediterranean herb growing center in Pocheon. Right when you enter the Herb Healing Center, you will be greeted by the amazing fragrances of the various herbal beauty products sold there. 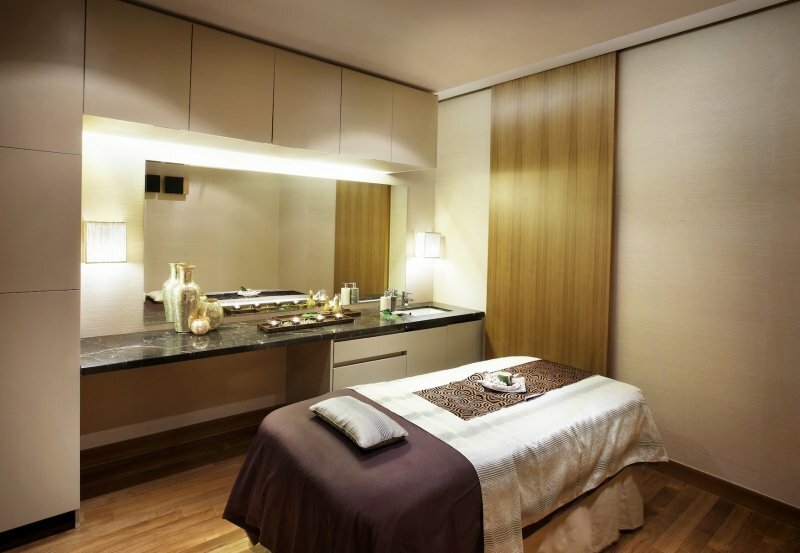 You can also enjoy the wide spread of spa packages from basic treatments to VIP ones. One of their unique therapies available is the Herb & Hay therapy where you will lay inside a box of hay for the treatment! You will also be able to learn more about Mediterranean herbs, try out the edible flower Bibimbap and see the pretty night lights in Herb Island. How to get to Herb Healing Center: Take an intercity bus from Dong Seoul Bus Terminal to Pocheon Intercity Bus Terminal. From Pocheon Intercity Bus Terminal, take Bus no 57 to Sinbuk Oncheon (Sinbuk Hot spring) at the local bus stop outside the Bus Terminal. Get off at Samjeong-ri and go straight on Samcheongol-gil Street to arrive at Herb Island. Alternatively, take a taxi from the bus terminal and show the taxi driver the korean name and address: 지번주소 경기도 포천시 신북면 삼정리 517-2, 허브힐링센터. This eco-friendly healing place is located in Seongnam City, at Seoul’s Southern border. Cypress sawdust and various other medicinal herbs create the base for the cypress enzyme spa offered in Cypress Forest Healingtopia. They offer various healing treatments from the conventional herbal foot spa to their speciality, cypress enzyme paste spa which are sure to melt your tiredness away! How to get to Cypress Forest Healingtopia: Take Seoul Subway Shinbundang Line to Cheonggyesan Station and exit at Exit 2. Once you exit the station, take a taxi to Cypress Forest Healingtopia. You can show the taxi driver the korean name and address: 경기도 성남시 수정구 달래내로 375 편백숲, 편백숲힐링토피아. The taxi ride will only take 5 to 10 minutes. One quintessential Korean experience is spending a day in one of its traditional spa and sauna rooms, also known as jjimjilbangs. There are many jjimjilbangs scattered around every neighbourhood in Seoul. There are tons to choose from, but some highly recommended ones are Siloam Fire Pot Sauna and Dragon Hill Spa. Jjimjilbangs are the go-to place if you are on a budget, especially since you only have to pay a small entrance fee to enjoy the various sauna rooms and baths they have. From the salt sauna room, oxygen room to their jade bath, your #squad will emerge after a refreshing session with silky smooth baby skin! Opening Hours: 24 hours. No reservations needed. How to go to Siloam Fire Pot Sauna: Take Seoul Subway Line 1 or 4 to Seoul Station and exit at Exit 1. Use Seoullo 7017 bridge to cross the road and you will see Siloam Sauna on the right. Alternatively, take a taxi and show the taxi driver the korean name and address: 서울특별시 중구 중림동 128-104, 실로암불가마사우나. 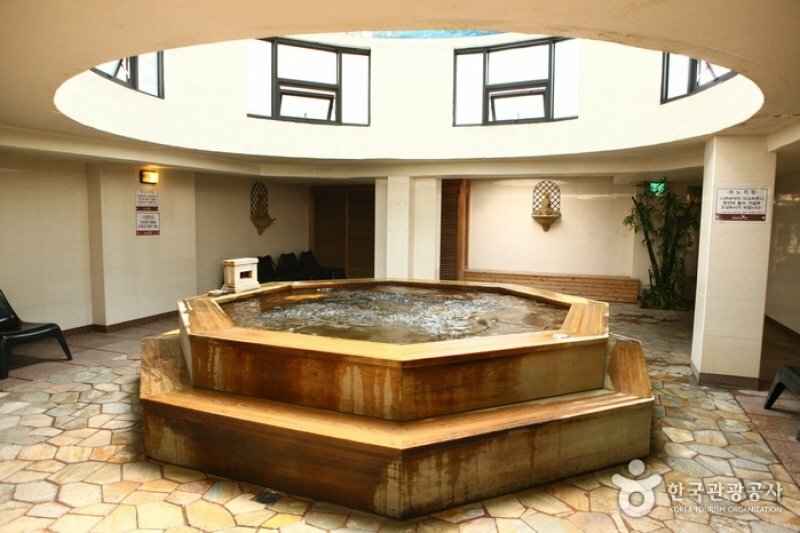 How to go to Dragon Hill Spa: Take Seoul Subway Line 1 or Gyeongui-Jungang Line to Yongsan Station and exit at Exit 1. Dragon Hill Spa is right across the exit. Alternatively, take a taxi and show the taxi driver the korean name and address: 서울특별시 용산구 한강로동 40-712, 드래곤힐스파.